Finn looks lovely! Thanks for a fun read! Yep, I have a similar problem. Giving while maintaining an elastic contact. And still remembering to do all the other 1000 things I’m supposed to be doing at the same time. Not enough brain space, so then I start to just HOLD with my hands. Ick. Getting better, but progress is glacially slow. Or it seems that way sometimes. Nice to have equally crazy friends! 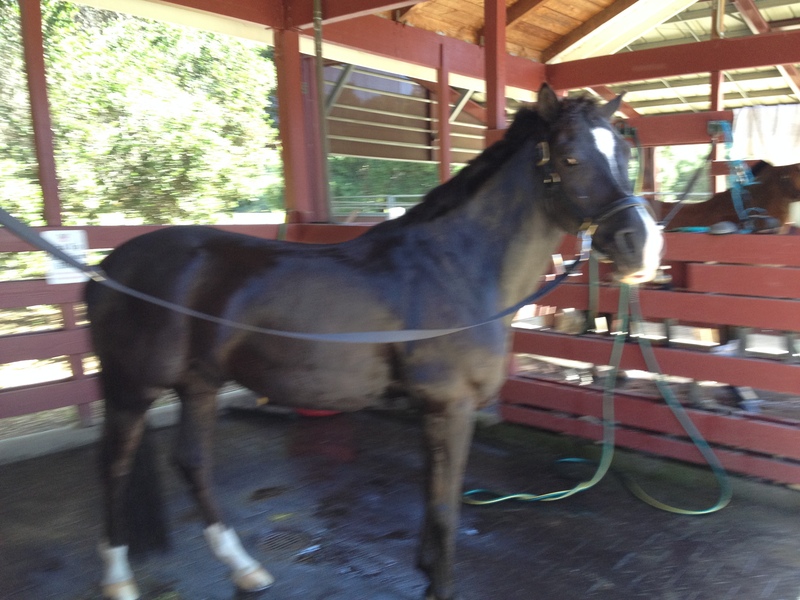 Yep….the issue of not letting your horse off the contact but not hanging with your hands is a doozy. I struggle with this. 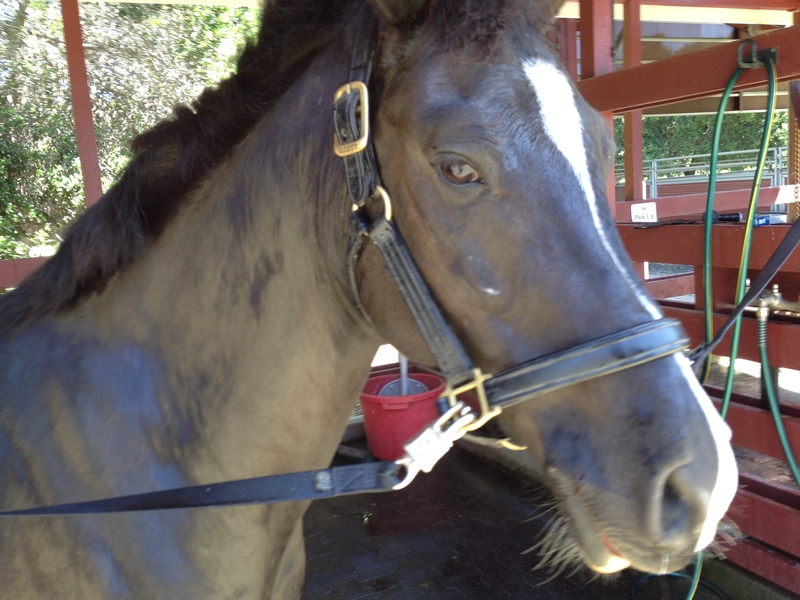 My pony is an artist when it comes to evading–he has what I call an “accordion neck”, meaning he can squish it super short or make it super long at any given moment, so I feel like I need to be constantly adjusting my reins. He loves to bobble in and out of contact. It makes it very hard to find that “sweet spot” and maintain a soft connection. I know that this will come, but it’s hard to be patient and to not get frustrated on those days when it seems like he’s just messing with me! One this that works when I feel him pull on me or lock against my hand right before he pushes his nose out, is to give a quick, sharp yank on my outside rein and then to hold my elbows at my sides and not let him move my position. When I feel him give, I “float” my inside rein a little to say “Good, now hold yourself there by yourself.” It does help–he gets round and soft and carries himself for a while until the next time he decides to try to evade…. 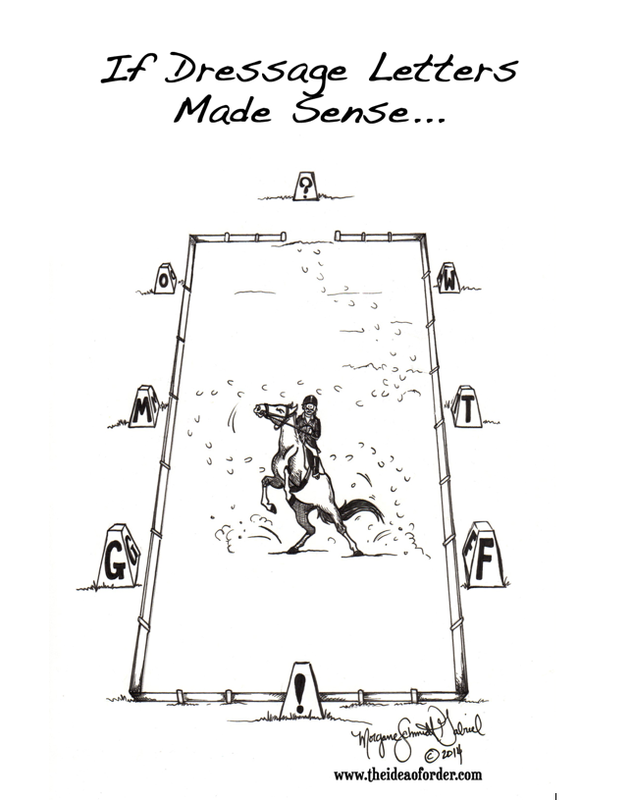 I agree this is a really difficult concept for horse and rider, one that Finn and I continue to work on. In the end, it goes from back (legs, and through a soft, engaged and not braced) back, to front, where the hands receive it. That doesn’t mean throw away the contact, which I can tend to do, trying to be soft. The hands have to receive it and sometimes to ask for softening by bending the horse (and of course bending happens through the body, too, and not just in the neck, but the hand can gently ask the horse to soften in the jaw). 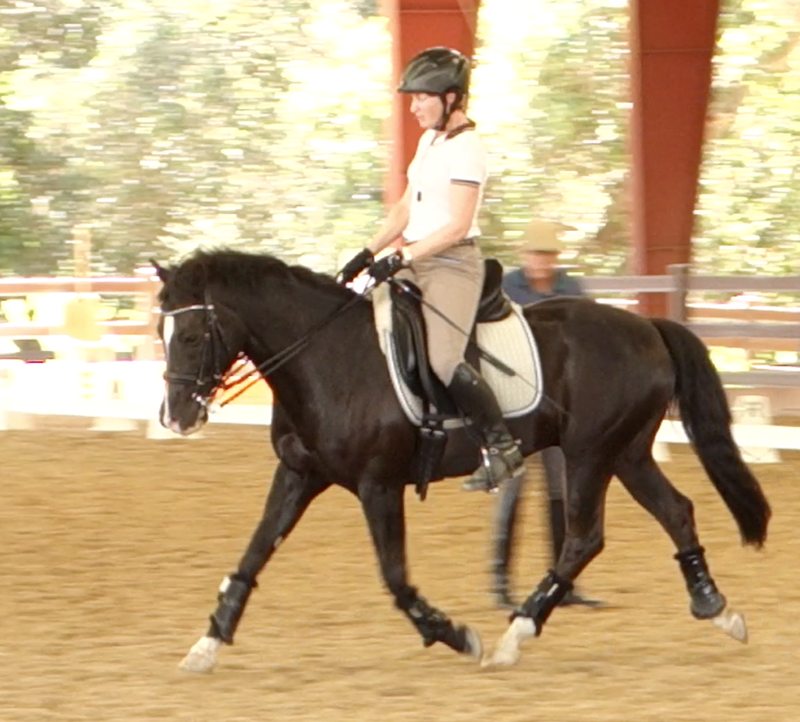 Lateral work, lots of transitions between gaits and within the gait (from collected to medium, etc. 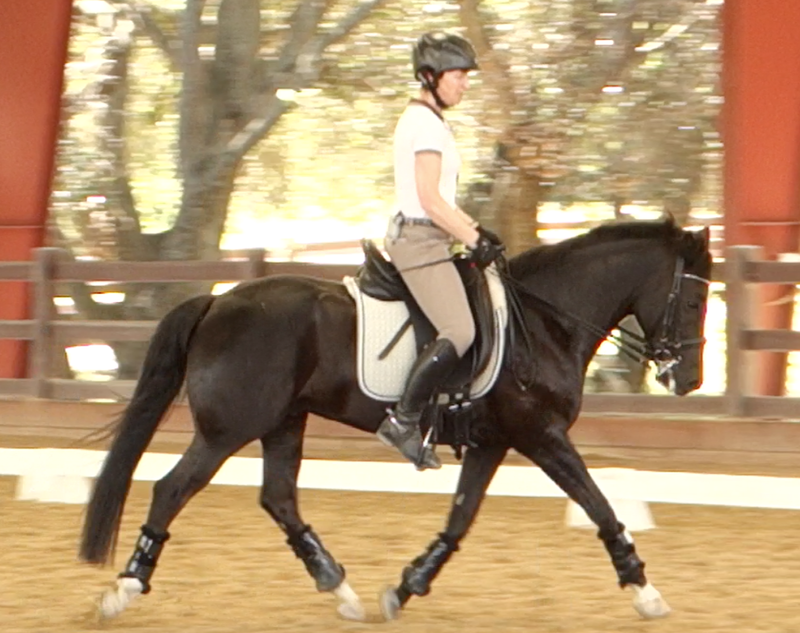 ), and keeping my reins short seem to be helping me the most lately. 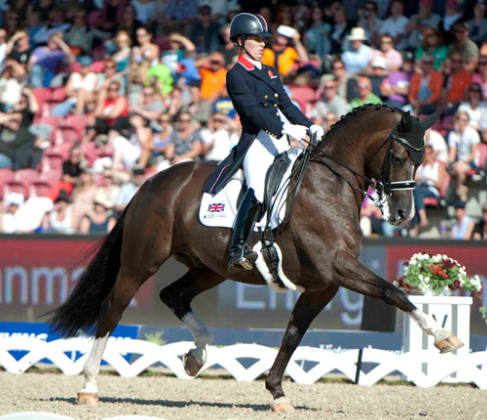 It’s really hard for me not to let the reins slip through my hands…Riding is a continual challenge! 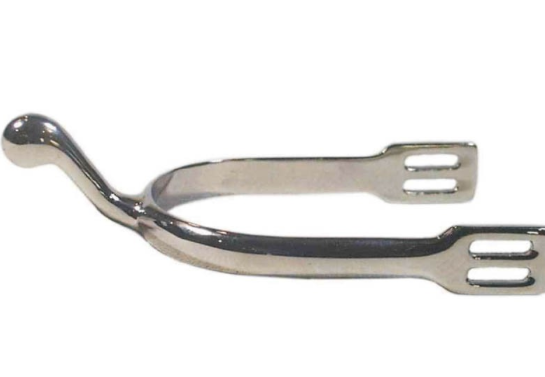 For horses that struggle with the contact, lunging them in side reins (with no rider) a couple of times a week for maybe 15 minutes can help them get used to it and build some top line muscle. Just a thought.